Hi there, Goat Groupies! This is Nicola, your US Design Manager. I thought it would be fun to write some educational blogs for you (in between posting eye candy and sharing YGD’s stunning projects!). We’re supposed to learn something new every day…right? First up: let’s learn about light! I’ve designed and specified a LOT of light fixtures…mostly lit by those infamous LEDs. Yes, we all know they are better for the environment- but do you really know about how they work? 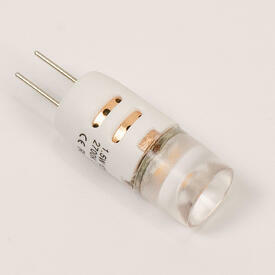 In short, it is a two-lead semiconductor light source. It is a p-n junction diode that emits light when activated. When a suitable voltage is applied to the leads (stay with me here), electrons are able to recombine with electron holes within the device, releasing energy in the form of photons. What the heck does this mean? The effect is called electroluminescence and the color of the light (which corresponds with the energy of the photon) is determined by the energy band gap of the semiconductor. The first LEDs invented were red in color and used for electronic devices (i.e. digital clocks, calculators, etc.). Next came the big breakthrough of blue LEDs in 1992 (kudos to Nobel Prize winners Isamu Akasaki, Hiroshi Amano and Shuki Nkahmura), which paved the way for white LEDs that are specified today! As of 2016, we are super spoiled and have the luxury of specifying RGB and multicolour LEDs for our lighting needs. LEDs are the lamping choice for most commercial and residential applications. Why? They don’t have a filament that will eventually burn out so it makes them a more sustainable choice. Illuminating LEDs are made up by the movement of electrons within a material that acts as a semi-conductor so they surpass incandescent bulbs by hundreds of THOUSANDS of hours (maintenance staff around the world are celebrating!). Other perks: they can emit light of an intended color without using color filters as required by traditional lighting methods, give off very little heat, are shock resistance and don’t contain toxic substances like mercury. Incandescent is out – but we still love you, Edison! When specifying lighting with Yellow Goat, we use a few different types in our designs. 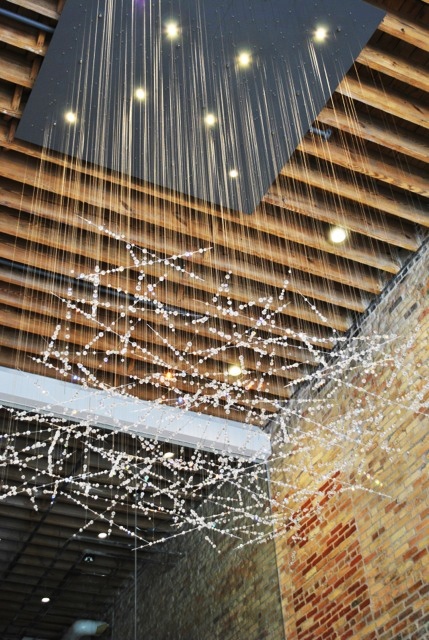 Note that the LEDs YGD incorporate are for decorative use (aka that extra sparkle). They are to be supplemented by main light sources in your space such as architectural and task lighting. LED bi-pins: These guys are G4s with 1.2 watts each. They replace a 10-15W halogen bulb (holla! ), are dimmable and have a warm white (2700-3000k), neutral white (4000-45000k) and cool white (6000-6500k) color temperature option. We frequently refer to these as “droppers” because we suspend these via coax cables strategically throughout the fixture. Check them out in fixtures such as our Arboreal, 20/20 and Coronet. 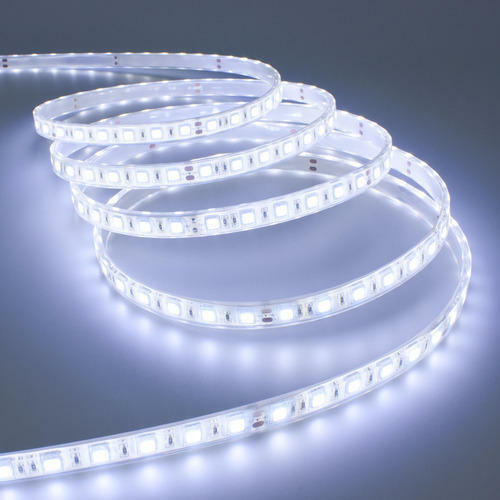 LED strip: This type of LED, used in fixtures such as our Halo Vert, range in wattage from 4-14W based on the model that is selected. You can specify warm white (3500k), cool white (6000k) or an RGB (red, green, blue) color temp. Now’s a great time to mention that all of our products are custom and built to order so if you have a particular LED brand that you love, let us know and we can source it for your project! 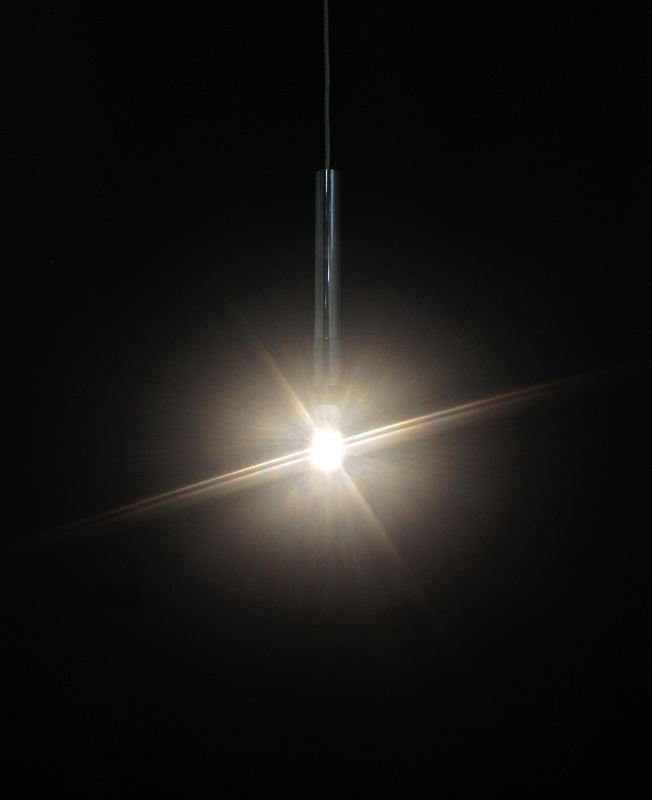 Check them out in the powder coated ceiling plate of our “Shooting Star” fixture below. Although the price tag is higher initially, the advantages of LEDs far surpass the cost. They are low-maintenance, better for the environment and provide more lighting control. Hope you learned something and be sure to check out all of our light fixtures (and other products!) at www.yellowgoatdesign.com. Send me an email if you have any questions, want to learn more or start the design process!